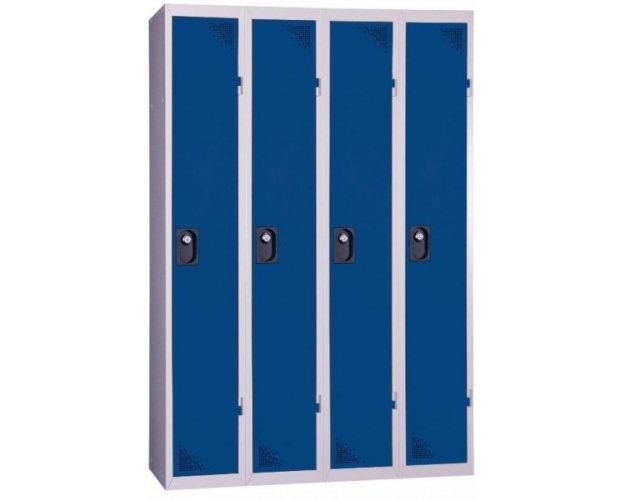 Clean industrial lockers in conformity with the standard AFNOR D65-760. Kit supplied in a box carton. 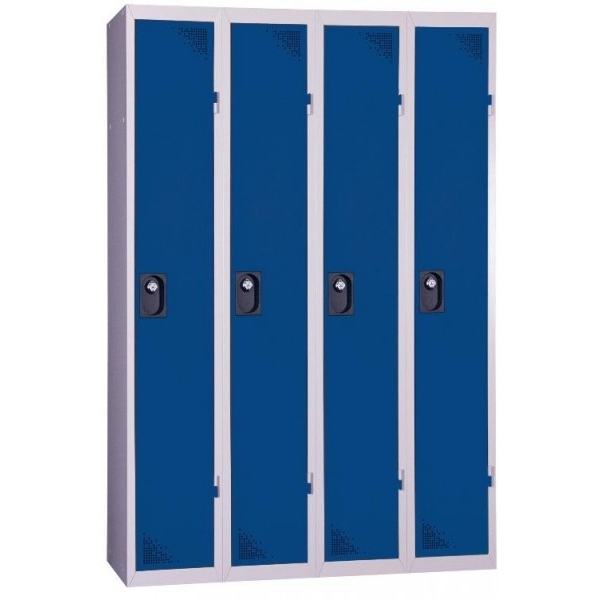 New design, new perforations, non-marking paint and quality finish are the advantages of these lockers. 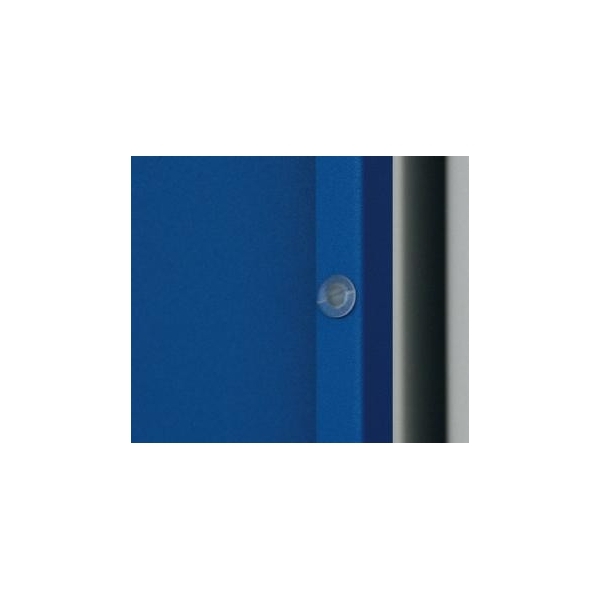 - Adhesive label holder included. - Clothes hook is attached to the vertical reinforcing bar of the door. 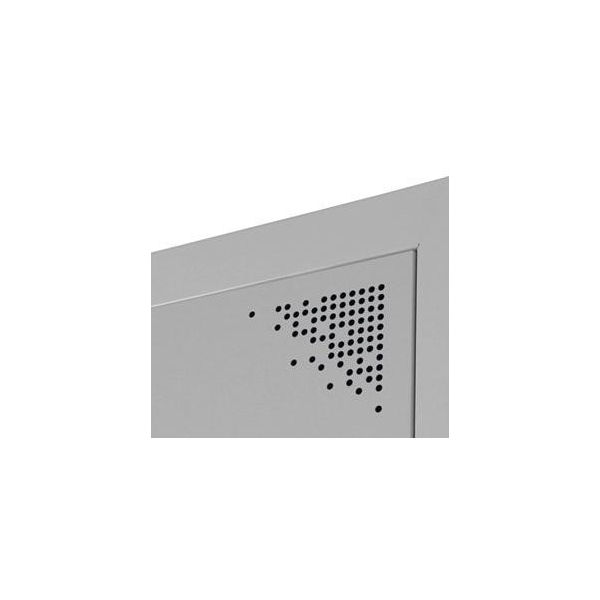 - Useful height of the upper compartment: 300 mm. A clothes hanger rod + coat hook below the shelf. Base H. 150 mm optional with adjustment cylinders in PE. - Each column (starter/following) is delivered wrapped in plastic and packed in an individual cardboard box with protective blocks and strapping. Fast assembly (instructions supplied). Approximately 10 mins per carcase. Assembly using nylon rivets.